If you’re reading this on an empty stomach, beware! This article might get your tastes buds going! When taking a beach vacation, many people rely on heavy, “on-the-go” fried food. However, under warm Caribbean weather, sometimes eating fried food can make you feel uneasy. Our list of suggested beach food is light, very tasty and will leave you feeling refreshed! 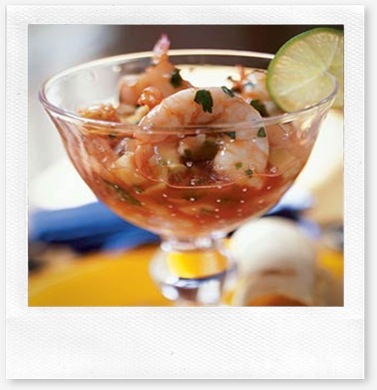 Ceviche is a very popular dish in Latin America and is considered a favorite in Cancun! It’s fresh, healthy and light (it can be eaten as an appetizer or a main dish. )It is served cold so it’s great to have on a warm sunny day with a cold beer. Ceviche is a mixture of fresh seafood (shrimp, octopus, crab, oysters) that are soaked in a sweet/sour tomato sauce with lime juice, chili powder, onions, garlic, cilantro and a little sea salt. In Mexico, it is typically served with toasted tortillas. You cannot go to Mexico without eating tacos, nor can you go to a beach without eating fish! They are famous in Cancun! 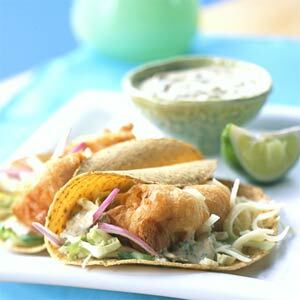 Different kinds of fish can be used in your tacos and are served with cabbage, “pico de gallo” sauce, avocado and a sour cream, all placed on top of a corn tortilla. Also popular are “Pescadillas,” which are little packets of crisp corn dough with fresh fish inside, topped with cream and lettuce. The most tasty octopus is cooked on the beaches of Mexico! It is here that you will get a grilled tender octopus. Sprinkle the dish with lemon juice, and accompany with a lime margarita. For people who have a more adventurous culinary side, you can also try octopus with its own ink sauce. Octopus ink has a very dark color and adds a brilliant, intense iodine taste to the dish. Nothing is better than having a fresh boiled lobster in Isla Mujeres, where most of our lobster is from.To keep it light, we recommend you have it steamed or boiled. Steaming is more gentle, yielding slightly more tender meat. It preserves a little more flavor and it’s quicker to prepare. Lobster boiled or steamed in sea water maintains its characteristic ocean taste. Now that’s a dish that’s probably unknown to many of you! Tikin Xik is a widespread traditional dish in the Yucatan, well-known for food prepared with annatto seeds. Their aroma is somewhat spicy with a hint of nutmeg, and their flavor moderately sweet and peppery. The sauce is created by mixing the annatto seeds with bitter orange, vinegar, chili peppers, garlic, cumin, oregano and black pepper. You will definitely enjoy it!